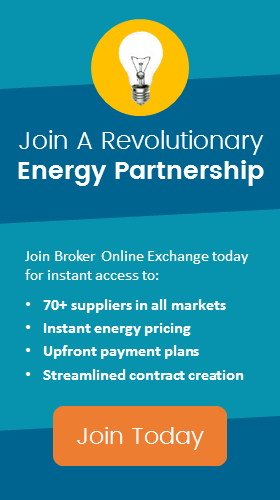 Connect with a professional broker in our powerful network to begin saving money on your commercial energy. Gain instant access to money, answers, connections and all suppliers in each deregulated market. Become part of the team! Earn residual income by referring commercial customers. We get your referrals the best prices and you collect. National Grid has filed new Default Services rates for residential and commercial customers with the Massachusetts DPU. These rates are taking into account pending changes to the Basic Service Administrative Cost Adjustment Factors (BSACFs) and Smart Grid Customer Cost Adjustment Factor (SGCCFs), which are expected to take effect on May 1 as well. The Arizonans for Electric Choice and Competition ("AECC") Commissioners recently submitted a list of "Areas for Discussion in Retail Electric Competition Rules" to the Arizona Corporation Commission in an effort to make small steps towards electric choice.